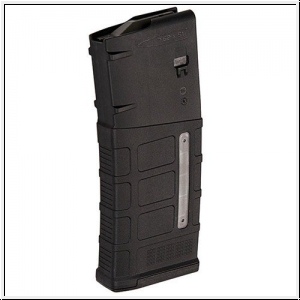 The PMAG 25 LR/SR GEN M3 is a lightweight, high reliability 25 round polymer magazine for SR-25/M110 rifles and rifles that utilize magazine specifications compatible with these platforms. The PMAG 25 LR/SR brings GEN M3 improvements to the LR line along with "more of a good thing" in the form of 25 rounds of capacity. Keep track of those rounds with MagLevel Window functionality, for the first time, now available in a 7.62 PMAG.